Shrimp Biryani – Spicy and delicate, full-flavored meal, made with fragrant basmati rice and shrimp! 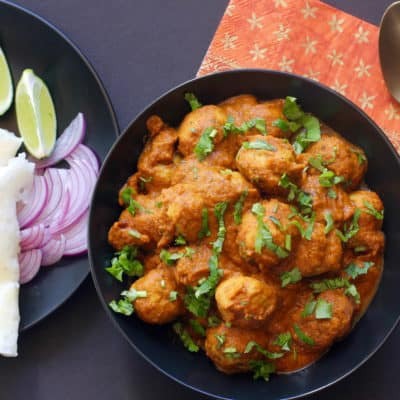 The warm flavors of fresh spices, turmeric, red chili powder and the sweetness from onions cooked in ghee make this an ultimate dish for lunch or dinner! Note: This post from June 2017 was updated on June 2018 with new photos, step by step recipe photos and new cook time. It is a crazy time of the year for my family and I am sure many of you are in the same boat. We have a 5th -grade and an 8th-grade graduation coming up. Several end-of-the-year activities that have made our days busier than ever. I cannot seem to keep up with my calendar. As time is flying quickly than I would like, I want to make meals that my boys love but still do not take up a ton time and energy. 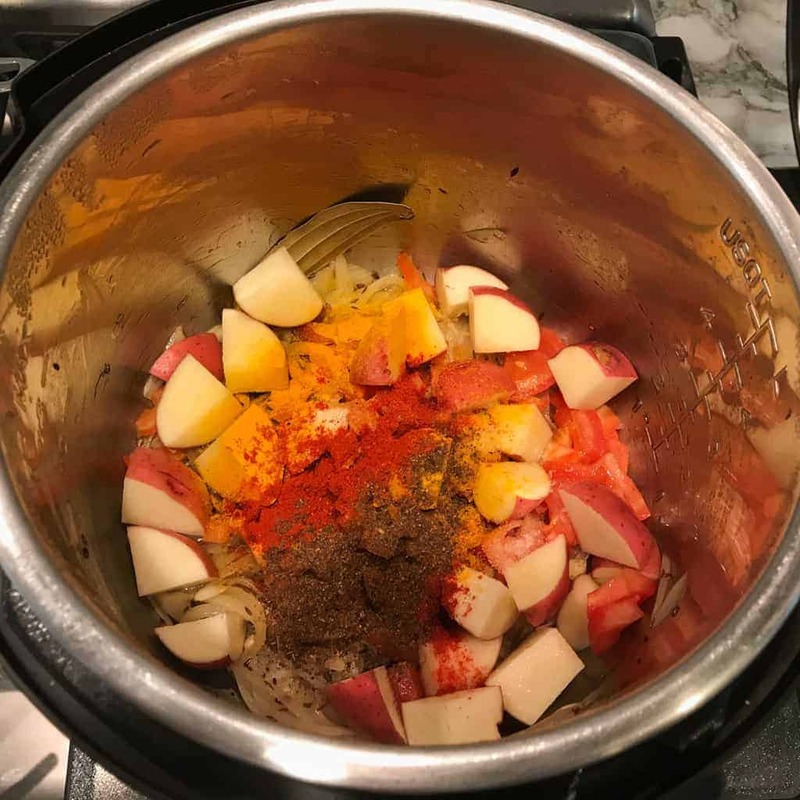 I try cooking healthy, one-pot meals in my Instant Pot which has saved me a lot of time. 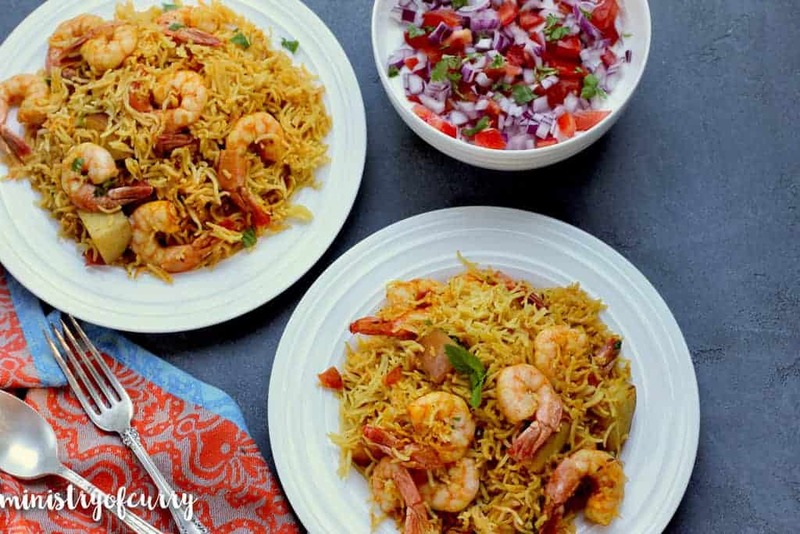 This easy Shrimp Biryani recipe, that my whole family loves, does not require any marination. 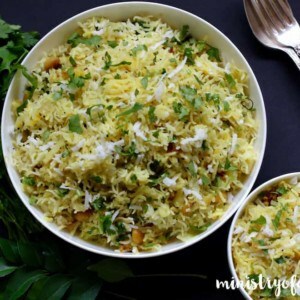 The recipe uses fewer ingredients than the traditional Biryani and the simple process makes it an achievable meal for busy weeknights. I always keep a bag of good quality shrimp in my freezer that I can use in a jiffy. 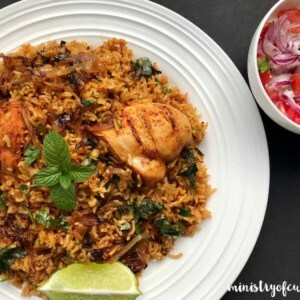 Full of flavors, every bite of this Shrimp Biryani takes me to my happy place! 2. Sauté whole spices in hot ghee and toasting them gently as they release the aromas. 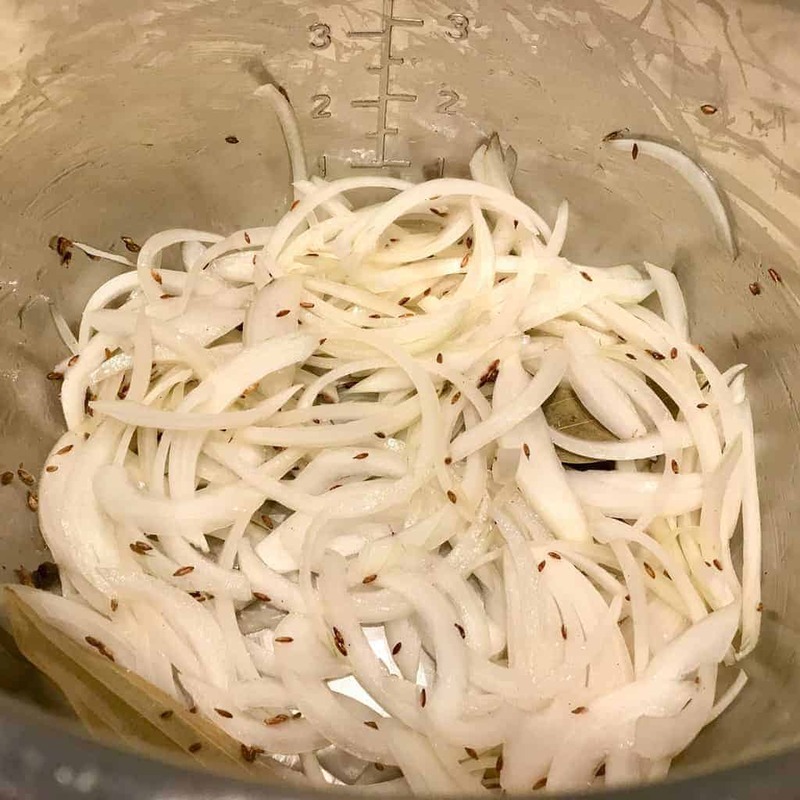 Add thinly sliced onions and cook them until they turn golden brown. 3. Add ginger, garlic, tomatoes, potatoes, turmeric, red chili powder, garam masala and salt. Mix well. 4. Add shrimp, rice and water. Mix gently, pushing all the rice under the liquids. 5. Close the Instant Pot and select the manual/pressure cook(LO) for 4 minutes followed by 3 minute NPR. Release the remaining pressure and open the Instant Pot. Gently fluff the rice. Is this shrimp biryani gluten-free and dairy free? 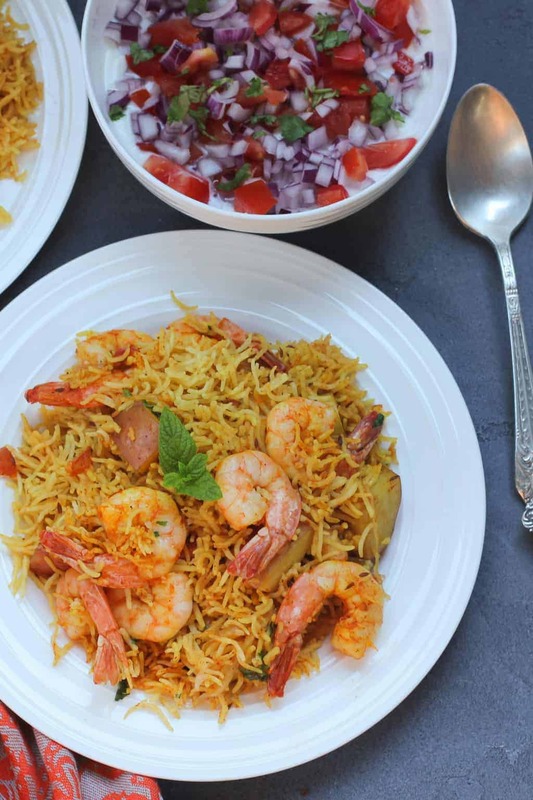 This Shrimp Biryani is gluten free and can be easily made dairy-free by replacing the ghee with any cooking oil. Spicy and delicate, full-flavored meal, made with fragrant basmati rice and shrimp! Rinse and soak the rice in 2 cups of water for 20 mins. Drain the rice after 20 mins. Turn the Instant Pot to Sauté(More) mode. Once the hot sign displays, add ghee. Add cumin seeds, peppercorn and bay leaves. Sauté for 30 seconds. Add onions and mix well. Cook covered with a glass lid on for 3-4 mins, until the onions are translucent and light golden in color. Add ginger, garlic, tomatoes, potatoes, turmeric, red chili powder, garam masala and salt. Mix well. Add shrimp, rice and 2 cups of water. Mix well, making sure all the rice is under the liquids. Close Instant Pot lid with the pressure valve to sealing. Cook on Manual(low pressure) for 4 mins followed by 3 minute natural pressure release. Garnish with fresh cilantro. Serve hot with raita and lime wedges. 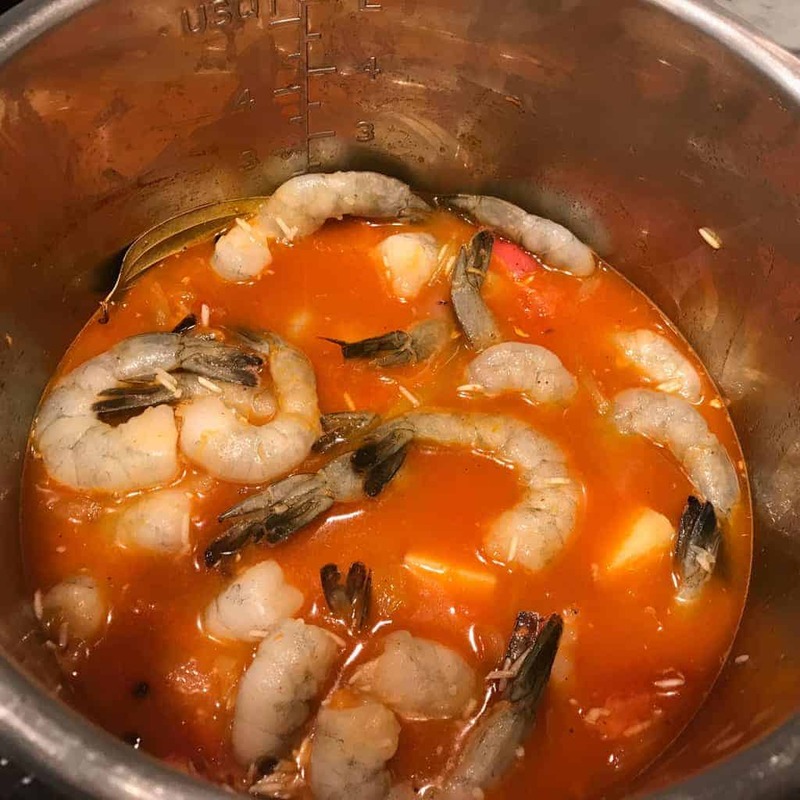 Although the video shows 6 minutes pressure cooking, for shrimp low pressure cooking works better and hence I have updated the new cook time using low pressure mode. When short of time, you can also skip the pre-soaking of the rice. The new cook time is tested to work well for long grain basmati rice. Are your 2 cups of rice, regular cups as in 8oz, or the little plastic cup that comes with the Instant Pot that is about 6oz? I used regular cup measure. you are welcome. Please let me know how you like it. What type of shrimp do you buy? Archana, have you ever tried using store-bought biryani masala when experimenting with your biryani recipes (any one of them)? All the Biryani recipes on my blog use my simple home made garam masala. Only because its easier for everyone to make it. In the past I have used Shaan Biryani masala and It tasted pretty good too. Hope this helps. Thanks Archana. If I were to experiment on your recipe with biryani masala, would I just replace garam masala with biryani masala? Preeti, you might have to use more of the readymade masala. Follow the ratio of shrimp to masala from the packaging of ready made masala. Delicious! Even kids enjoyed it. If I wanted to substitute the diced tomato, what would you suggest? My oldest loved the biryani minus the diced tomatoes. Would love your thoughts for a recipe all (gasp!) my kids will eat happily ? Thanks! Hi Soniya! For Shrimp Biryani, feel free to skip the tomatoes. They just add a bit of tangy flavor. Yo can always squeeze some fresh lime just before serving. How was the texture of your shrimp? My only fear is overcooking shrimp in IP. Shrimp need only 2-3 to cook. I have my own recipe. But love checking out your IP versions. Shrimp is cooked perfectly for me. I use frozen uncooked tail on shrimp for this recipe. Hi Ramya! Yes you can skip potatoes. Hi Mimi! Thank you for your note. 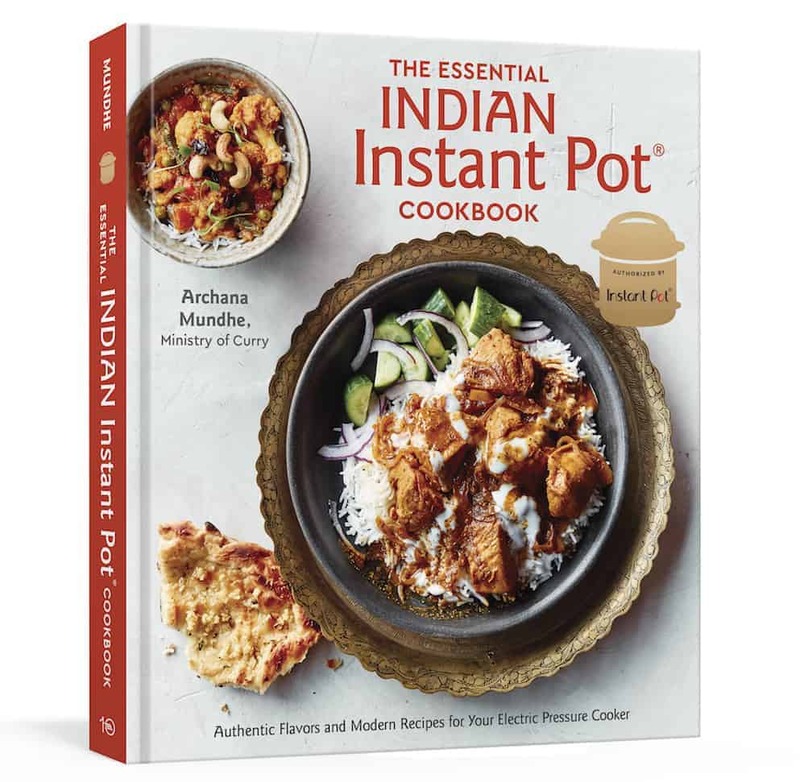 I am so glad you are enjoying my Instant Pot recipes. 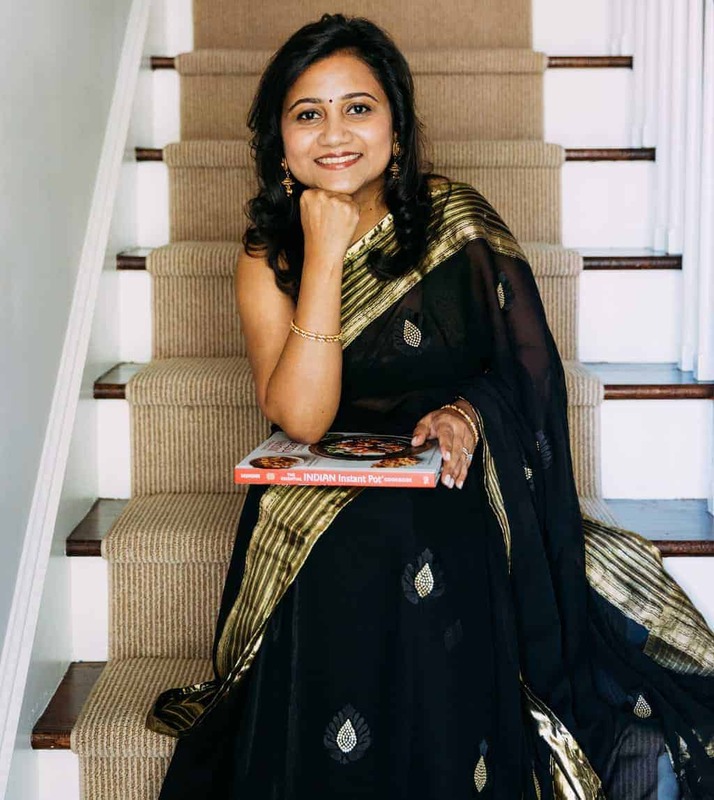 I am a maharashtrian and I now live in the US. 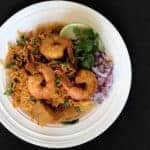 You can easily double the Shrimp Biryani recipe in a 6 QT Instant Pot. 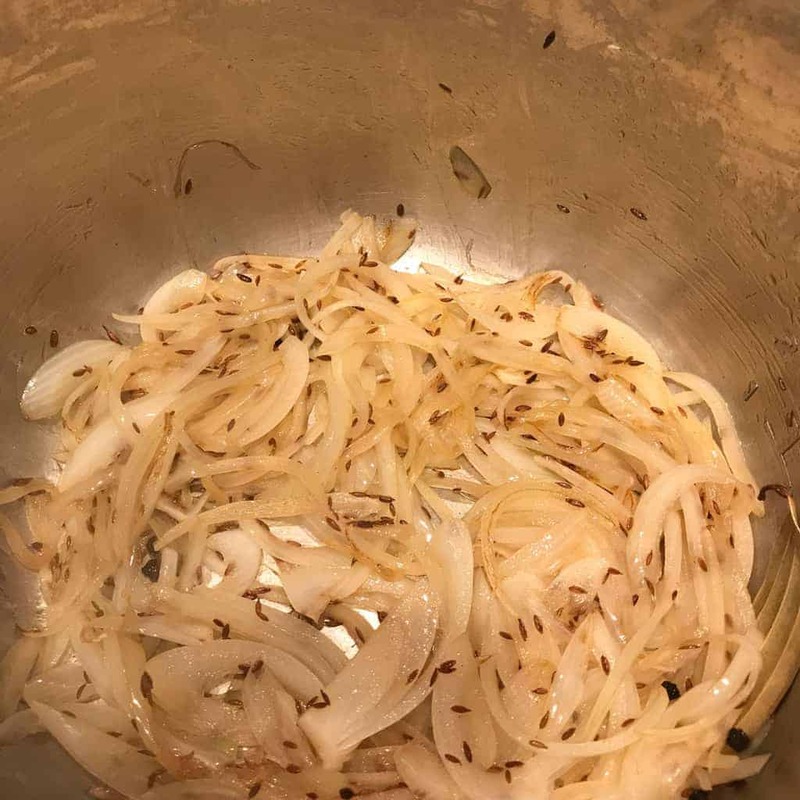 Basically only the sauté time for the onions will increase. When you double the recipe for the Instant Pot, just the time to come to pressure increases but pressure cooking time is the same. Hope this helps. Let me know how it comes out! You are welcome Mimi. 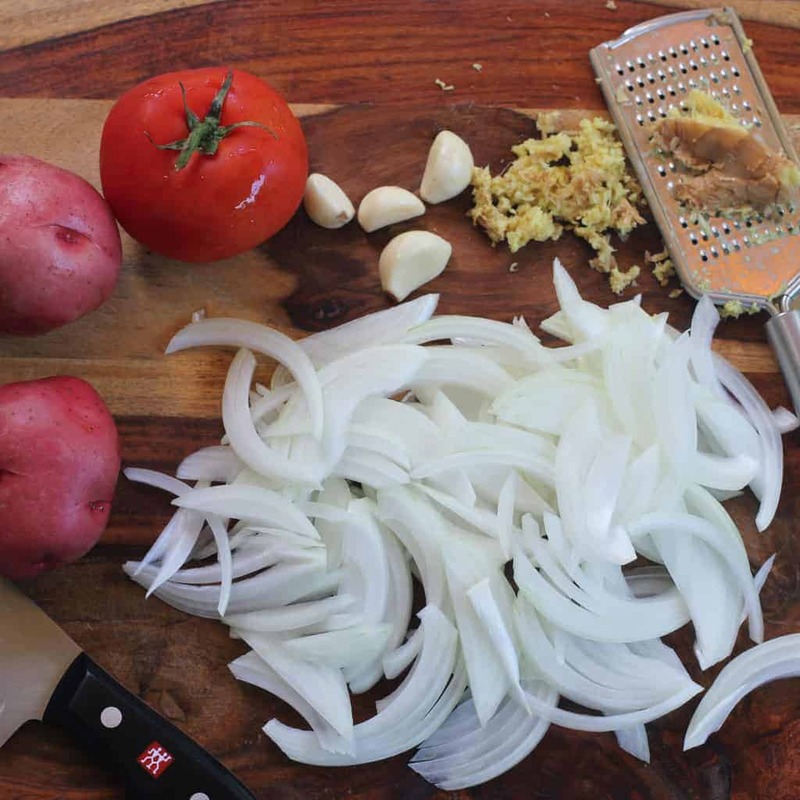 The only tricky part with doubling is to make sure you do not scorch the pot while sautéing onions. If you do, simply deglaze it. Biryani will always come out perfect. Just follow the steps. Let me know! Your recepie is aating Manual Hi for 6 min but your facebook page is saying 4 min low pressure… which one is correct for Shrimp Biriyani? Hi Jasmeen, I recently started using the 4 mins low pressure setting and it works great. So please use those settings. Let me know how it works for you. I will update the recipe with this new cook time. This recipe is an absolute favorite with my kids. Would brown rice work? 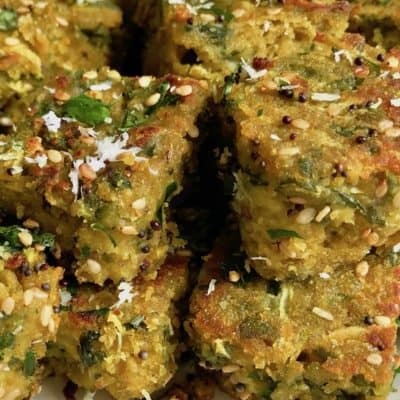 Hi Srujani, So glad to hear your family enjoys this recipe. I would not recommend this with brown rice as it will overcook the shrimp. How much maximum we can cook … i mean how many max servings we can cook… i want to cook this for 8… is this possible? You can easily double this recipe in the 6 quart Instant pot. 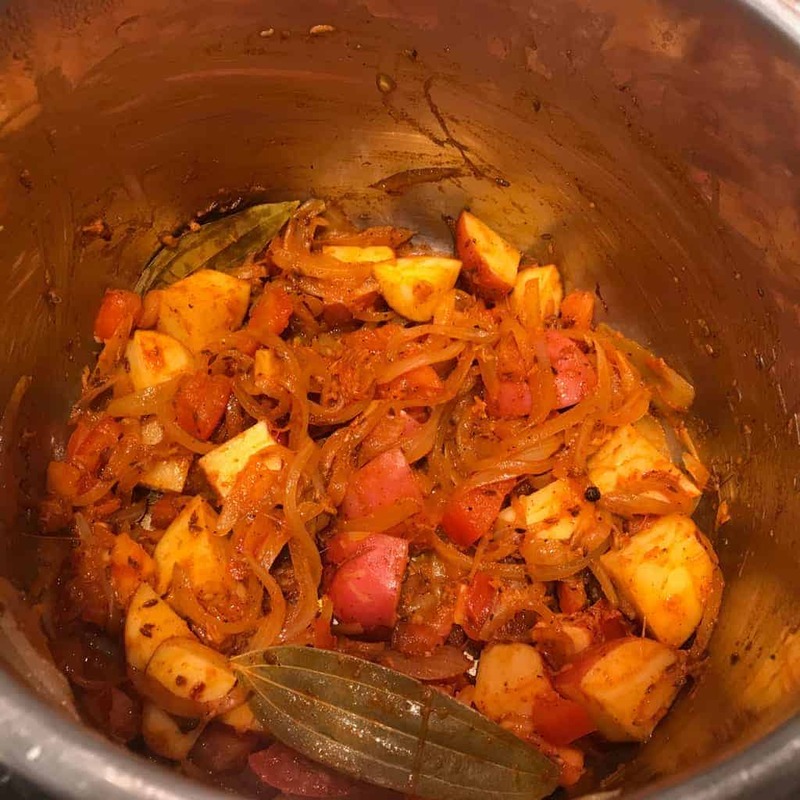 I received an Instant Pot for Christmas and have been looking for good ways to use it and this is an amazing recepie for it. Definitely will be a go-to in the future. Thanks! 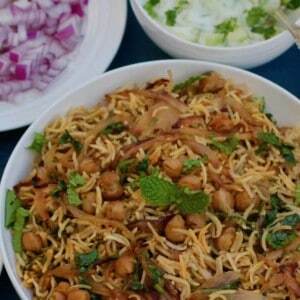 Hi Archana, Now I do not know how many times I have made your shrimp biryani and is always a hit. I am specially posting this today because I made this last night and my 19 month old, had a happy happy meal of this biryani. I was so delighted that I did not had to have dinner. Thank you so very much for sharing your recipes. See you in another recipe. Hi Uma, Thank you for your feedback! 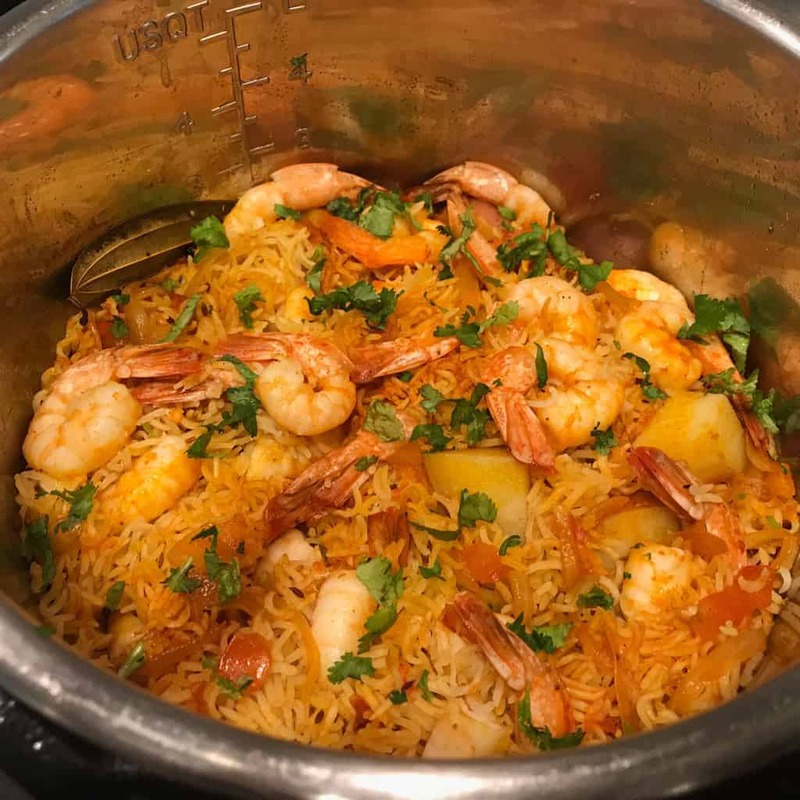 So happy to hear that you are enjoying this easy and delicious shrimp biryani. Absolutely, marvellously delicious! Archana, you have done it again. I used Reshampatti chilies which I grinded instead of Kashmiri and Sindhi Imperial Garam Masala also freshly ground (we have a wonderful team of “spice hunters” in Montreal. They supply only the best spices from all over the planet). 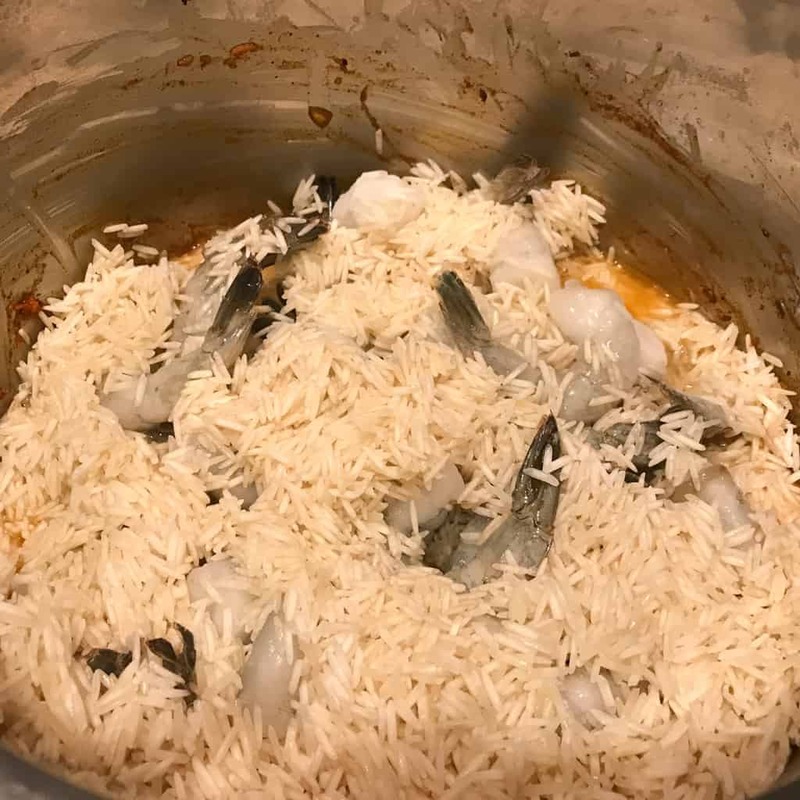 The 4 mminute + 3 minute natural release was PERFECT even though I used fresh jumbo shrimp and my Basmati rice was not long grain. Served with lime wedges and a heavy Balkan yogurt. Again, WOW and thank you! Louise, I would appreciate if you can rate the recipe for me. The ratings can be added right on the recipe card. Thank you! Hello Archana! Can’t wait to try. 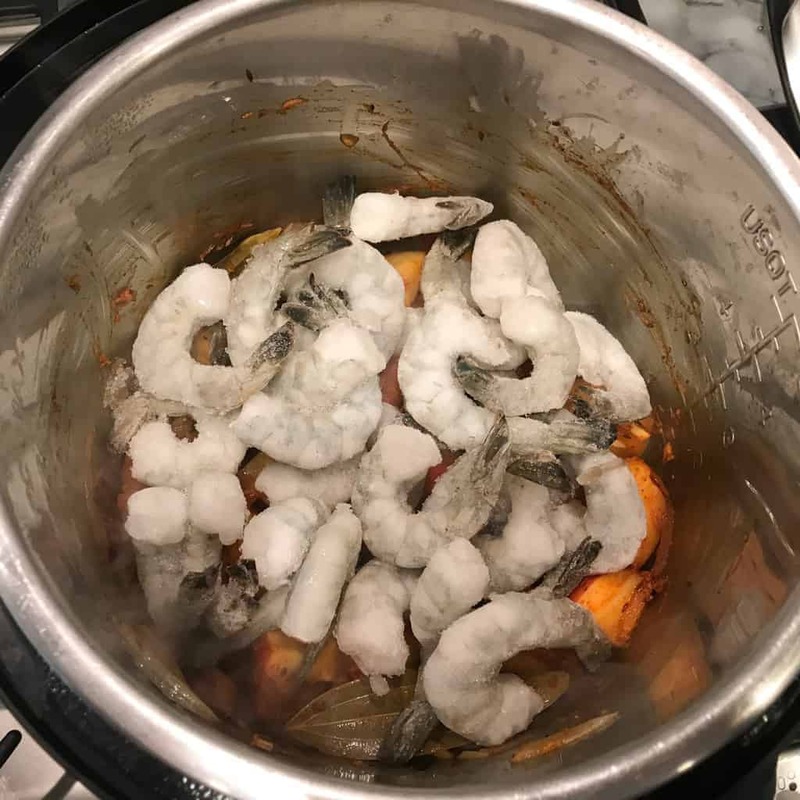 So you don’t need tp defrost the prawns before adding them right? Hi Anjana, yes no need to defrost! I did: I gave it 5 stars because that is definitely what this recipe deserves! Thank you for this recipe Archana. I love your website and the time and effort you put into sharing your tried and tested recipes and IP settings!!! Thank you for your lovely feedback Jincy! Loved the flavor of the shrimp biryani! I think next time, I’m going to use a different brand of shrimp and maybe really cut down the rice soak. I have a 8 quart and doubled the recipe so it took quite a while to come to pressure. Otherwise, it was delicious! Ok, I will try that next time! Thank you! We loved this! I followed the directions exactly, except for adding the rice to the top last and submerging it with a spatula (instead of mixing it) to avoid the “burn” message I sometimes get with rice dishes. We served it with raita and roasted green beans. I am so glad you enjoyed it. It is my goto for busy weeknights. Hi archana if I use frozen cooked shrimp what would be the timing? Thanks for sharing the recipe, I tried it tonight -it was delicious! Next time I will ramp up the spices as I thought it could definitely take more flavour. I served it with spinach dhal and raita. Would the proportions of the recipe remain the same if I make it in a 3 qt instant pot? Also how will the recipe change if I want to use brown rice? Is there a way to make this with brown rice without letting the shrimp over cook? Hmm, Unless you cook shrimp separately, I am afraid there isn;t a way. Hi Archana! This recipe looks wonderful. Are the bay leaves picture a different kind that the common bay laurel leaf? 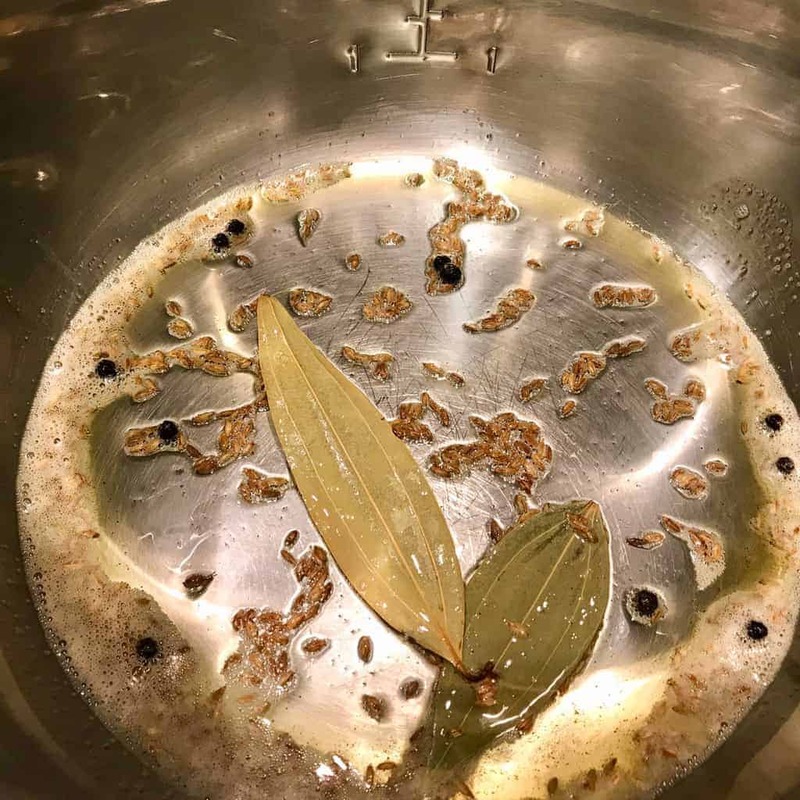 I saw something similar on a spice seller’s website but they were called “cinnamon tree leaves” – is this what you used for this recipe? Hi Twinkle, Great observation!! YEs they are different and these are the cinnamon tree leaves 🙂 Although you can use teh regular bay laurel leaf in a pinch. I made this the other night but accidentally on manual high and got the burn notice! It was still mostly fine though—only potatoes were a little underdone but I shall try again with the low pressure! Thank you so much for sharing the recipe. My kids really like it. My daughter who doesn’t usually like to try new food, she just had a bowl of it. I was worried that I would end up eating it all myself but all of my 3 kids liked it. I didn’t know where to buy Garam Masala but from what I researched, I could substitute with Tandoori Masala, just cut back the chilli powder. I will find an Indian store to get the right spice. Thank you again. Thank you for the lovely feedback. 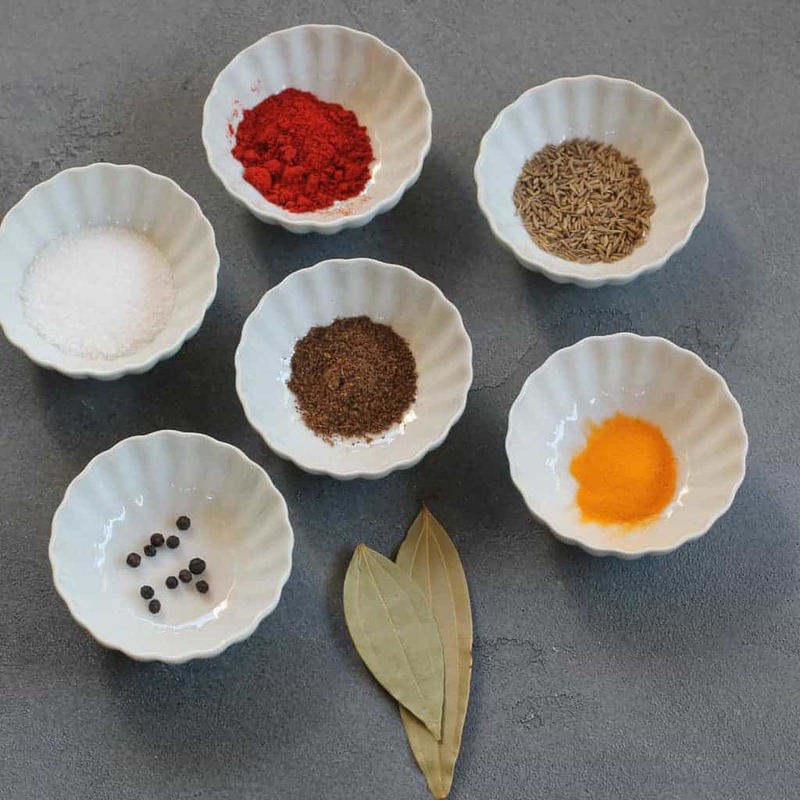 I also have a very easy 5 ingredient garam masala recipe on the blog. But most stores including whole foods will have garam masala. I’m going to cook this tomorrow. How would fresh shrimp work in this? Work. I am afraid smaller shrimp may overcook.